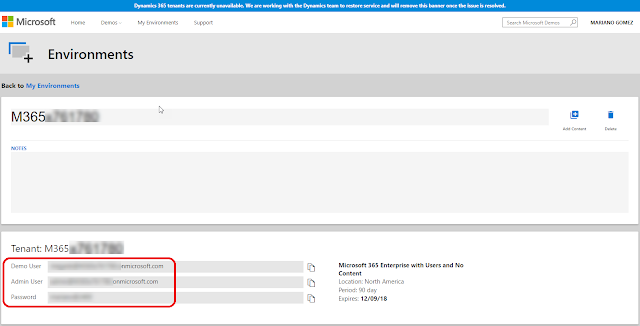 With the release of Microsoft Dynamics GP 2018 R2, I had a first look at the update process, then quickly ran into a situation where the option to set up intelligent cloud insights wasn't showing in my already provisioned Microsoft Dynamics 365 Business Central tenant - See, "Set up Intelligent Cloud" option not showing for Microsoft Dynamics 365 Business Central tenants. I also noted that this option was available with the October '18 Release and that the current tenants would be undergoing upgrades within the next 30 days. 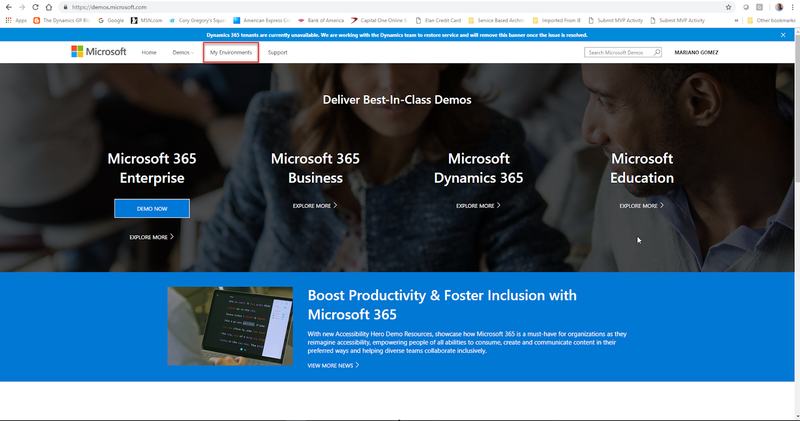 In the meantime, if you want to familiarize yourself with the process of deploying intelligent insights, you will need to provision a demo tenant, built on the October '18 release. 1. 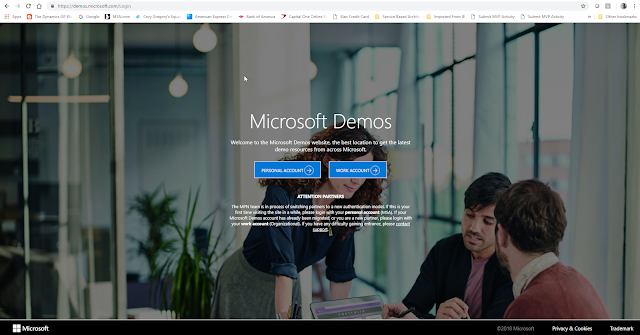 Launch your browser and enter https://demos.microsoft.com in the address bar. This will take you to the Microsoft demo site. 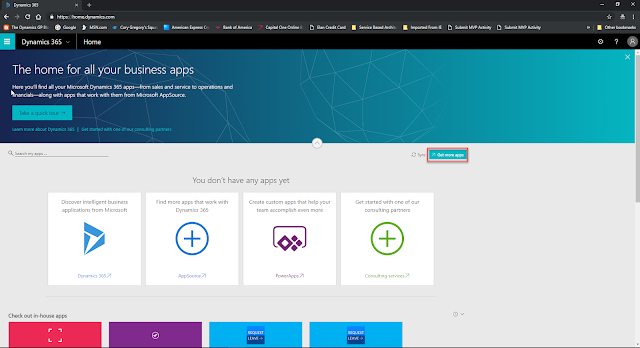 The site can be accessed either with your Microsoft account or your Work account (organizational or Azure AD authentication). 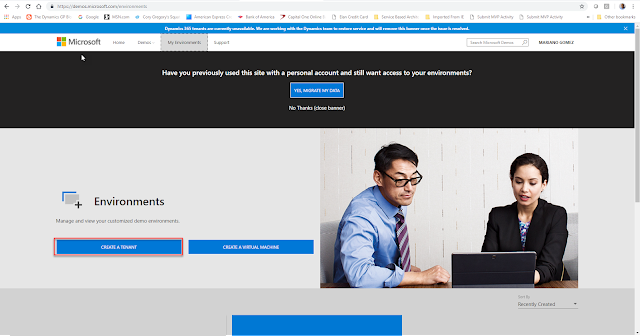 NOTE: If using your work account, you must be a Microsoft partner or MVP to access the site. 2. Once on the Demos site main page, click on My Environments on the upper menu bar. 3. 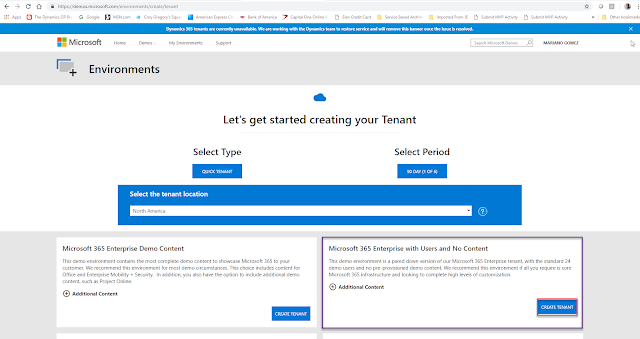 Once on the Environments page, click on Create a Tenant. 4. 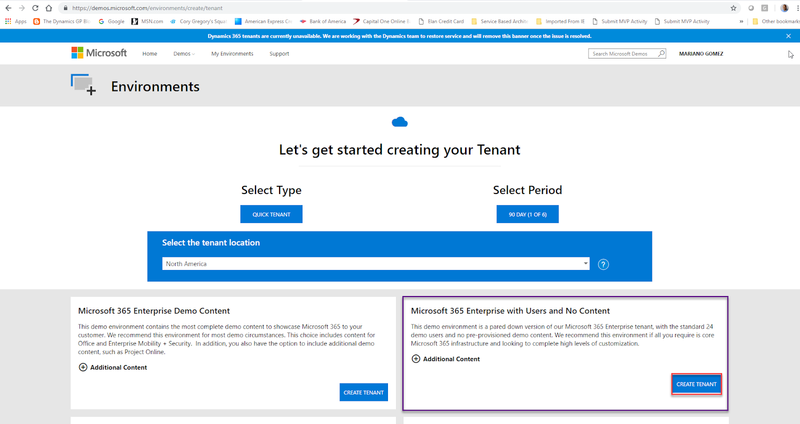 On the Tenant page, locate the Microsoft 365 Enterprise with Users and No Content section, then click on Create Tenant. NOTE: you can provision a tenant for a period of 90 days, which should give you plenty enough time to get started. 5. 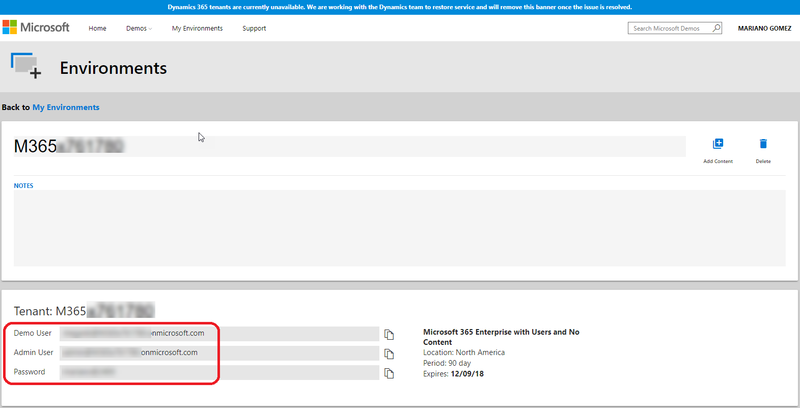 Once the environment has been provisioned, please take note of the admin user and password you have been assigned as this will be needed to complete the additional steps. 6. Launch your browser and open an In Private session (Edge) or Incognito session (Chrome). 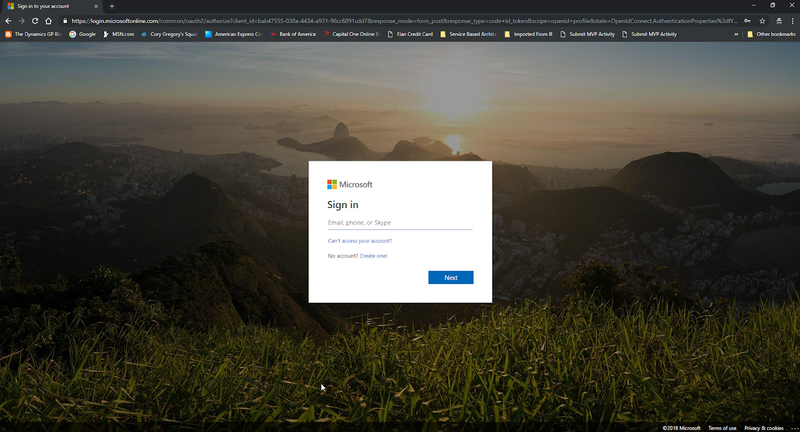 In the URL bar, type https://home.dynamics.com. 7. Once the environment has been prepared, proceed to click on Get more apps. 8. Type "Business Centr.." in the search bar to narrow down the list of apps to Business Central, then select Microsoft Dynamics 365 Business Central (Trial), to initiate the free 30-day trial. You will have 30 days to work with this tenant before it expires. I assume if you need more time, you can delete the demo environment and start all over again. However, I find it more beneficial to simply have your own Business Central tenant as existing tenants should see the October '18 release applied to them anytime now.